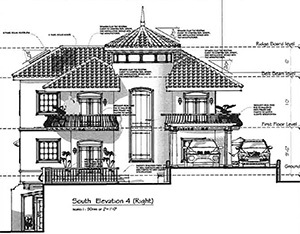 Design the home of your dreams with help from Reading Heights. When your ready to start your home design process, Reading Heights offers design services to you free of charge to help you create conceptual home design plans that are just right for you. Our design team will also help you to capture amazing vistas and refreshing sea breezes, save money and live more sustainably without compromising luxury or comfort. Our design and review processes are managed by an Architectural Review Committee, appointed by the Reading Homeowners Association of which each lot owner is a member. This committee is guided by design and construction standards whose aim is to protect your investment and your quality of life by creating and maintaining a community based in shared values and mutual respect. Eco-friendly home designs are strongly encouraged. By incorporating solar power and rainwater harvesting for use in gardens and toilets, our designs can help you save on utility bills. And we offer financial incentives to owners who choose to do so. These plans are also available to you to customize for your needs on the lot of your choice.